With the hot days of summer here I really wanted make a nice cool dessert; something that would not be too heavy and one that would not heat up the kitchen. 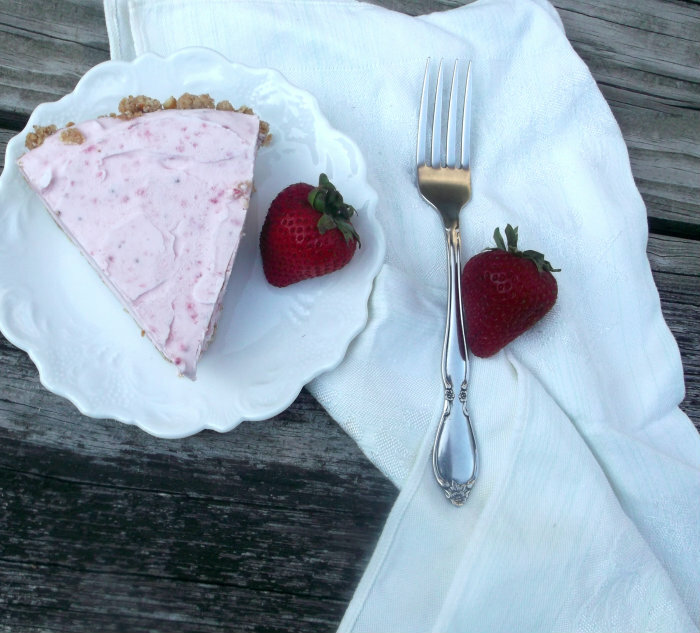 And with the summer fruit in full force right now what could be better than a frozen strawberry pie? 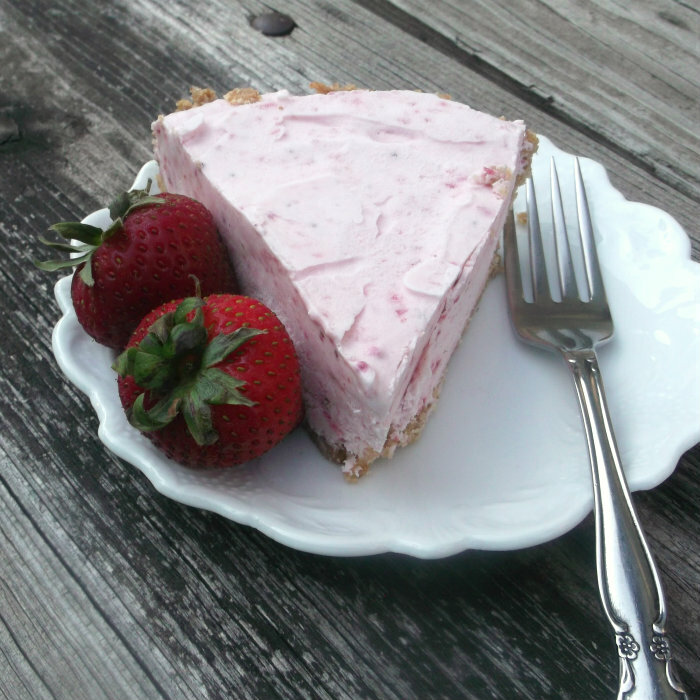 Everyone in the family loves strawberry, so there is no complaining when I mention that this pie is on the menu. It is super easy to make and if you don’t feel like making a crust simply buy one in the store. I made mine with a graham cracker crust and it complimented the pie nicely. The only bad thing is it does take time to freeze, but it is so worth every minute you have to wait. 1. Take cleaned strawberries and puree them using your food processor or blender. You will want to have a cup of the pureed, so it should take about 1 1/4 to 1 1/2 cups of cleaned strawberries. Set aside once they are pureed. 2. In a medium bowl place your cream cheese and with a mixer beat the cream cheese until fluffy. Add the powder and mix until well blended. Next you will add the pureed strawberries and mix until the berries are incorporated into the cream cheese. Set this aside. 3. Take your whipping cream in a large bowl and beat until soft peaks form. Taking your berry and cream cheese mixture add to your whipped cream. Fold the berry mixture into the whipped cream until well blended. 4. Spoon the pie filling into your prepared crust. Cover with aluminum foil and set in the freezer for about 8 hours or overnight. Before serving the pie set the pie pan in warm water for a minute or so to make serving it a little easier. Enjoy! Not only do I love anything with fresh strawberries, but it helps so much to have pies that need to be frozen because when I’m having company that’s something I can do in advance. My entire family would love this pie. I’ll never turn down anything baked, but at this time of the year chilled desserts rule! 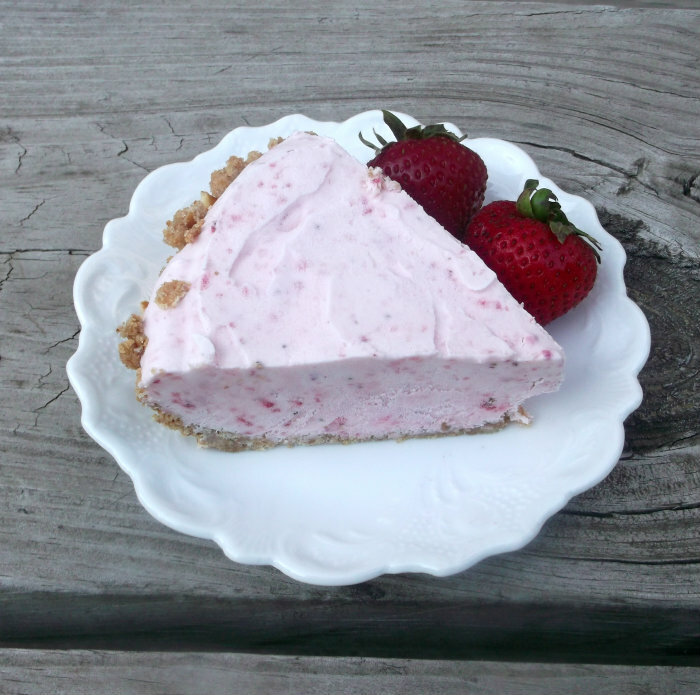 This frozen pie looks so good – and we’re still getting decent quality strawberries, so it’s a great use for them. Thanks!